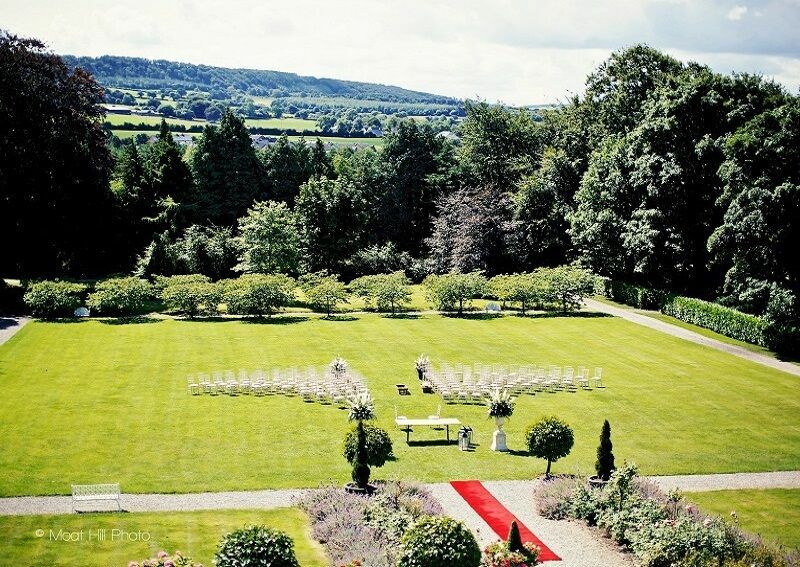 Set within 50 acres of gently sloping Laois Countryside, an hour and a half from all major Airports, Dublin, Cork and Shannon, Castle Durrow is the ideal setting for those important meetings necessitating luxurious surroundings. The beautiful furnishings don't make for a standard conference room. Beautiful furnishings, high ceilings, plenty of natural daylight and broad band. 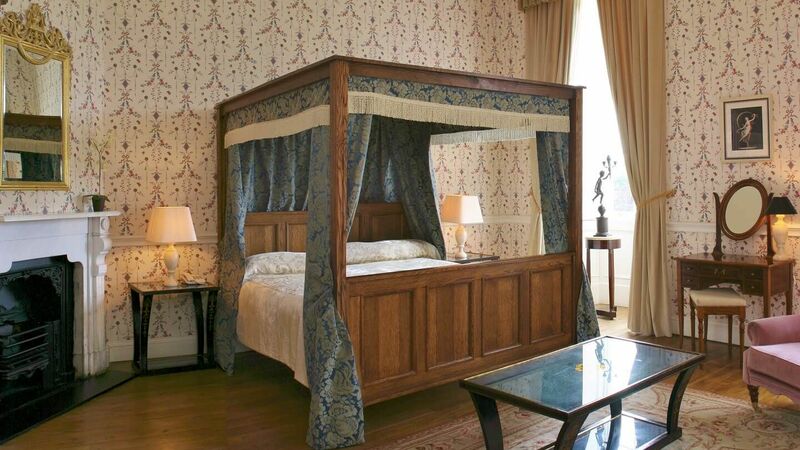 The combination of 21st century technology and authentic country house atmosphere is perfectly taken care of. The following facilities are available on request: photocopying facilities, projector. Depending on the meeting size, there are a variety of options in terms of meeting and dining arrangements. Beautifully appointed room comfortably seating 20 in a boardroom layout tor 35 theatre style. Very private room comfortably seating 12 in a boardroom layout. Very private room comfortably seating 100 in a boardroom layout. On arriving at the castle in the morning there will be tea, coffee and fresh Danish Pastries waiting for you. Your meeting room will be set up and ready to go, from 9 o’clock in the morning. 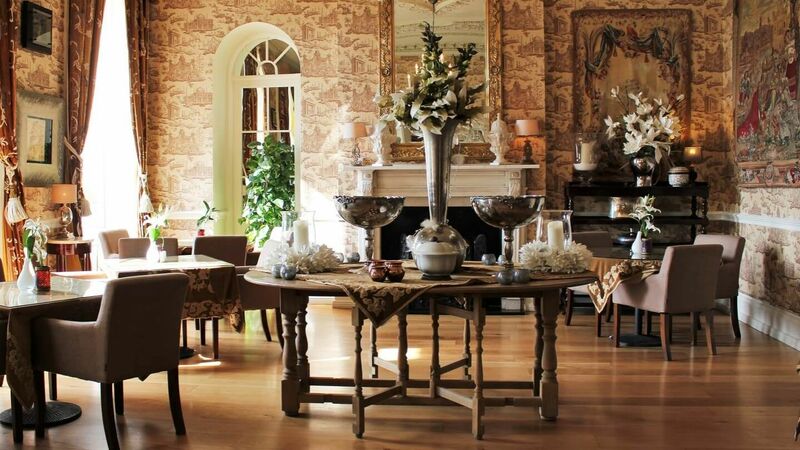 Lunch will be served in the Dining room or the Drawing Room. 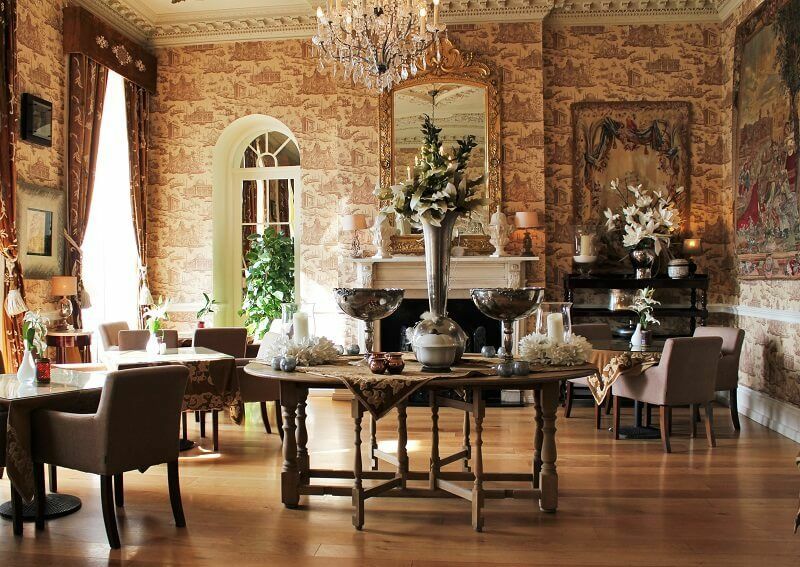 We serve a buffet style lunch but upgrading to our a la Carte menu is also a possibility. Dietary requirements are looked after. The Room Hire includes 2 Flip charts, Projector, Screen, Pens. Unlimited sparkling and still water, fruit and fruit juice. 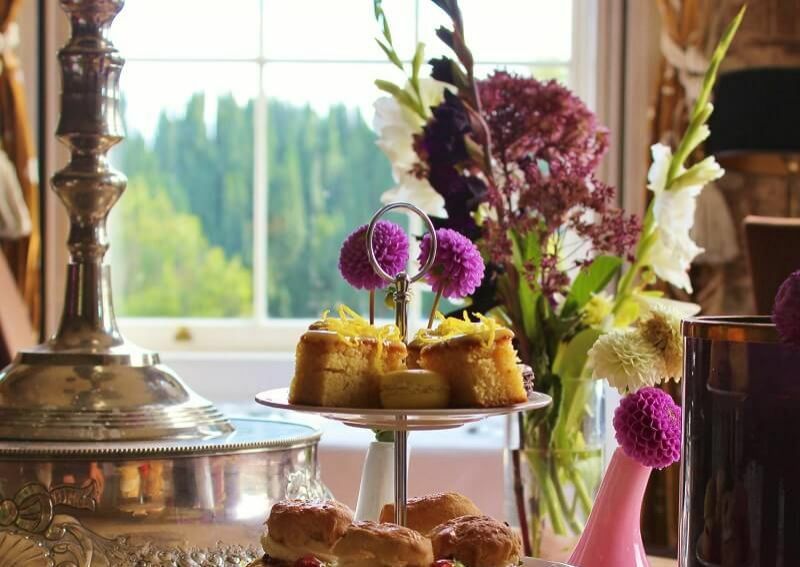 Our Day Delegate rate is priced from €60 per delegate and is inclusive of VAT and service. 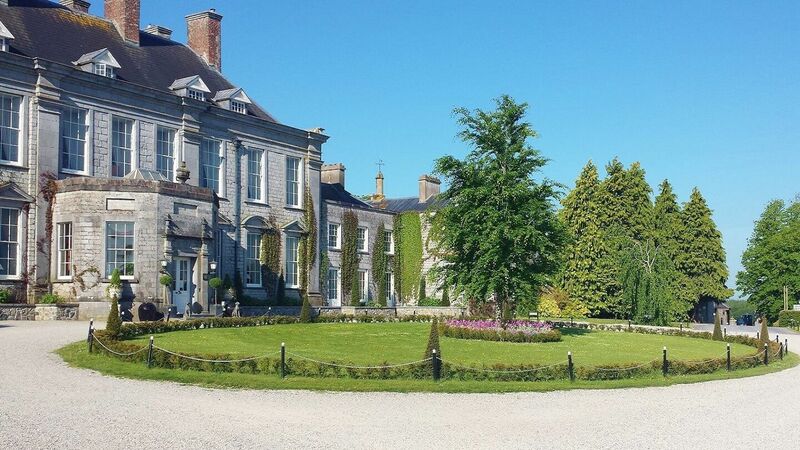 Castle Durrow made such an impression with us here in Meda Health Sales Ireland in September that providing you can accommodate us we would love to have our next sales meeting there again! Room hire rates include delegate stationery, flipchart, Screen. 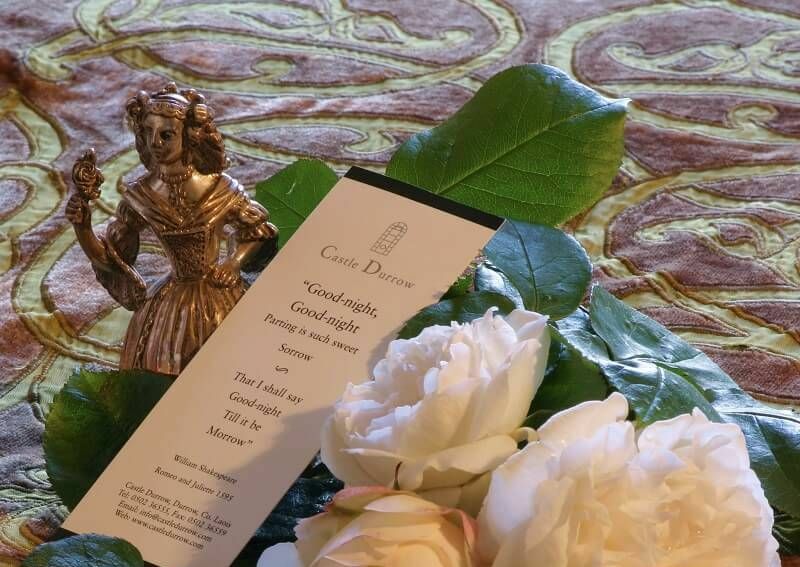 Garden Tours - Discover the wonderful story surrounding the renowned garden at Castle Durrow with a private guided tour with Head Gardener, Bart. Wine and tasting Dinner - For the ultimate gastronomic experience try our wonderful 6 course menu, our wine expert will talk you through a carefully selected region and our head chef will bring you on a historical culinary tour of the same region. Abbeyleix Golf Course - Enjoy a round of golf with colleagues at this beautiful old golf course. Couldn't fault a single thing. All the staff were very charming, kind, and thoughtful. We were there on business but I can't wait to come back with friends.